Welcome to the North Canton dental office of Julie M. Thomas, DDS. Dr. Thomas and her staff are committed to your comfort and providing the highest level of care for your dental needs. Whether you require advanced cosmetic dental services, or routine teeth cleaning, you’ll find skilled and friendly oral health professionals, as well as the latest in dental technology, at our office. 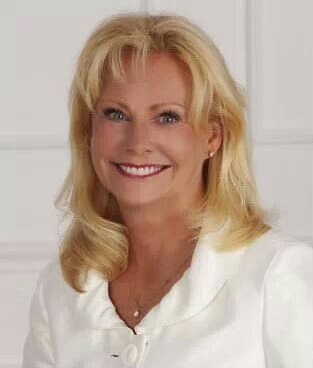 Dr. Julie is well known by her patients for providing exceptionally gentle dental treatment. The entire staff at our office focuses on compassionate, caring dentistry – we want to make sure you can enjoy a healthy smile and receive the education you need to prevent future problems with a strong at-home oral health regimen. Dr. Julie has completed additional training in cosmetic dentistry, allowing our patients to receive high-quality care to ensure that their smiles look their best. Each comprehensive new patient exam includes X-rays, oral cancer screening, and full periodontal charting to better understand your health status and your needs. Before beginning any procedure, Dr. Julie takes care to explain each treatment thoroughly. Part of our commitment to caring dentistry is making sure that our patients understand all facets of the treatment process and have knowledge of cost and final outcome. Our spa-like dental office in North Canton offers the comforts of blankets, pillows, massage chairs, waiting room refreshments, and TVs in all treatment rooms. For patients with dental anxiety, Dr. Julie even provides nitrous oxide to promote feelings of relaxation during care. To learn more about our office or to schedule your next oral health visit, contact our North Canton dentist, Dr. Julie Thomas. Our whole team looks forward to giving you the smile you deserve.